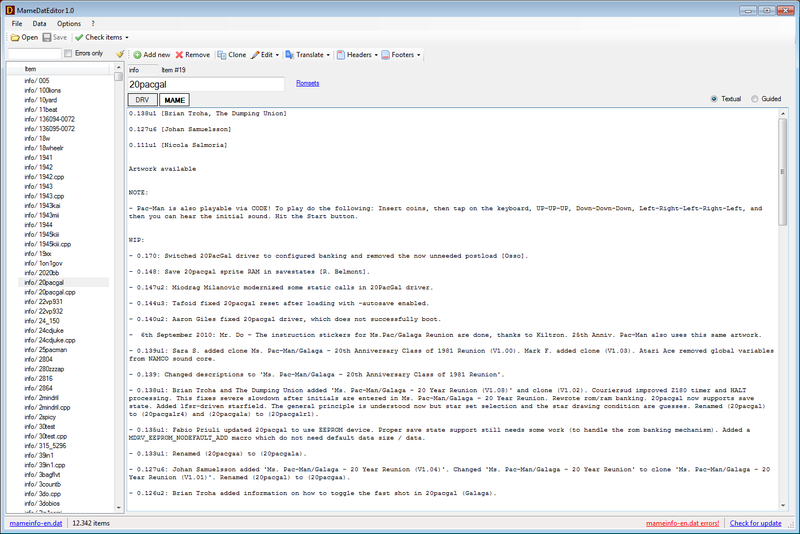 All files in this page are publicly and free of charges available, thanks to the passion that everyone puts in what he does. 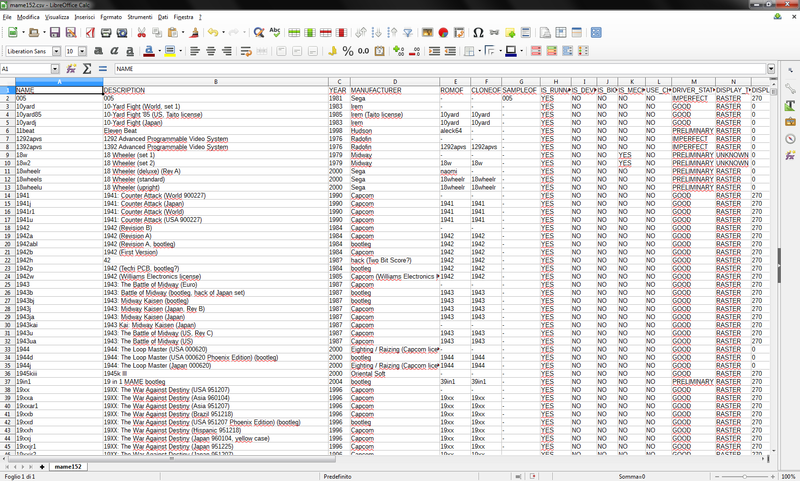 If you find them useful, please consider the idea of making a small donation to the author. 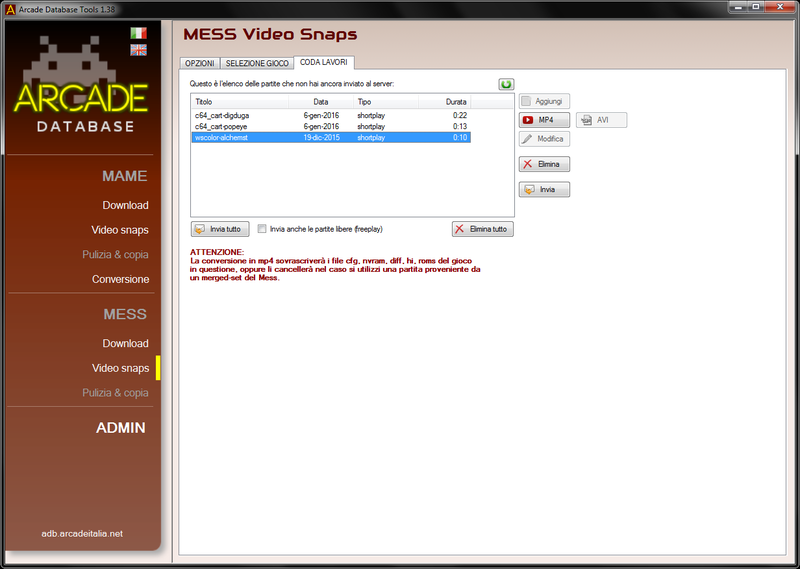 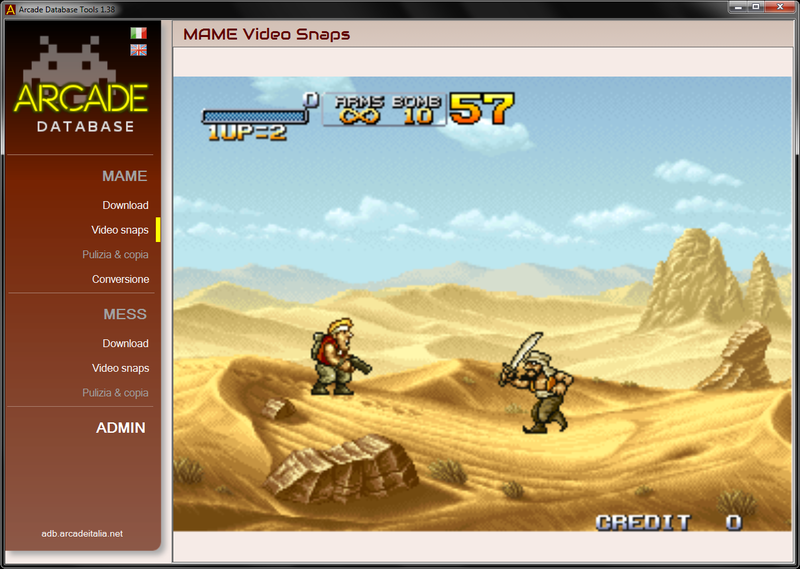 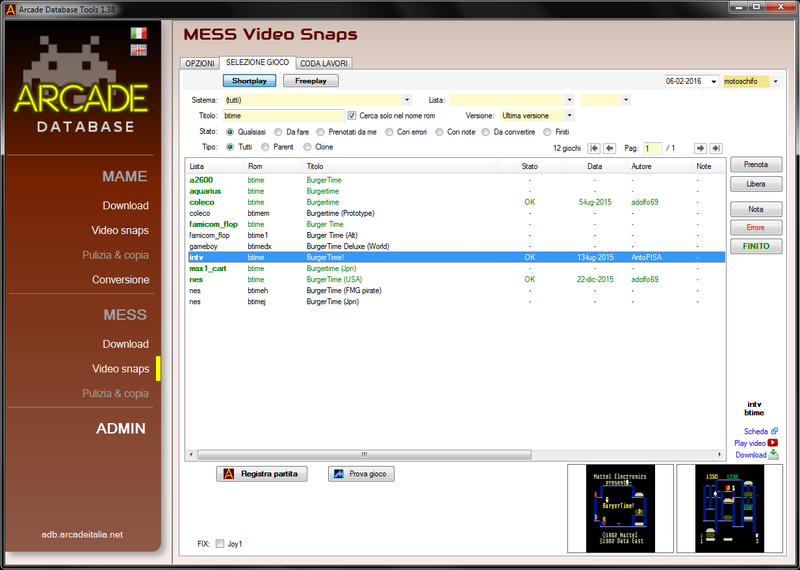 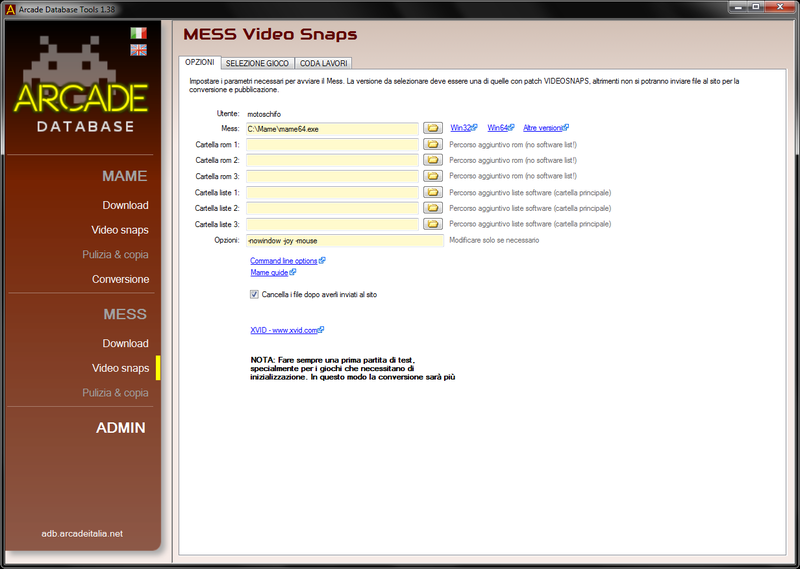 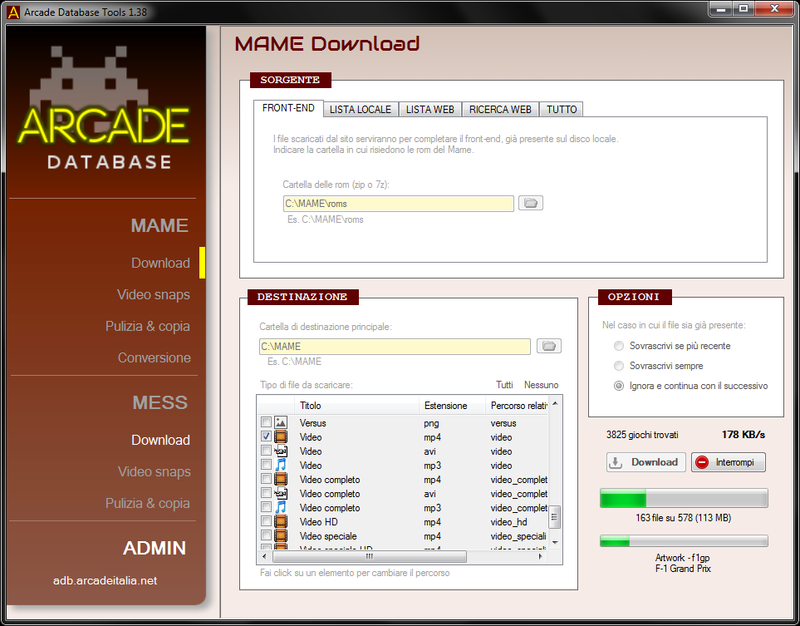 Starting from release 0.162, Mess is discontinued and integrated into Mame. 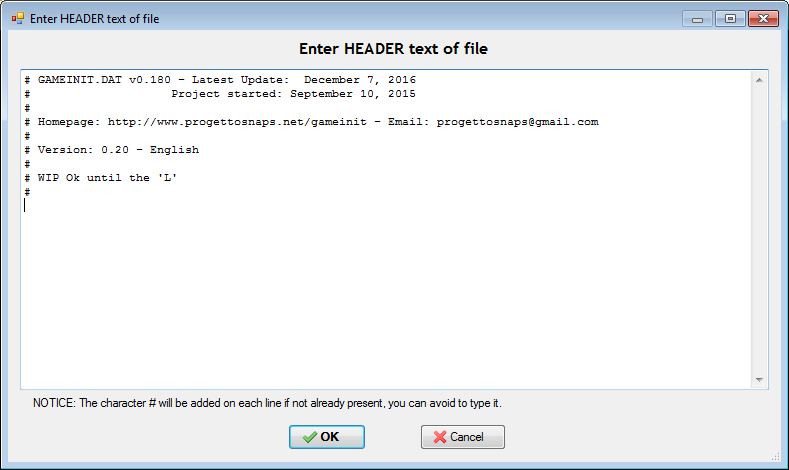 Accordingly the files you find here are not from official developer team. 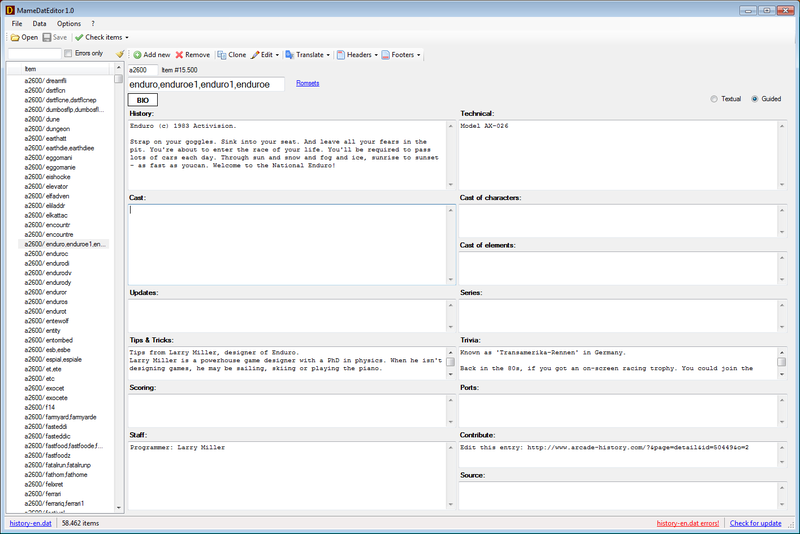 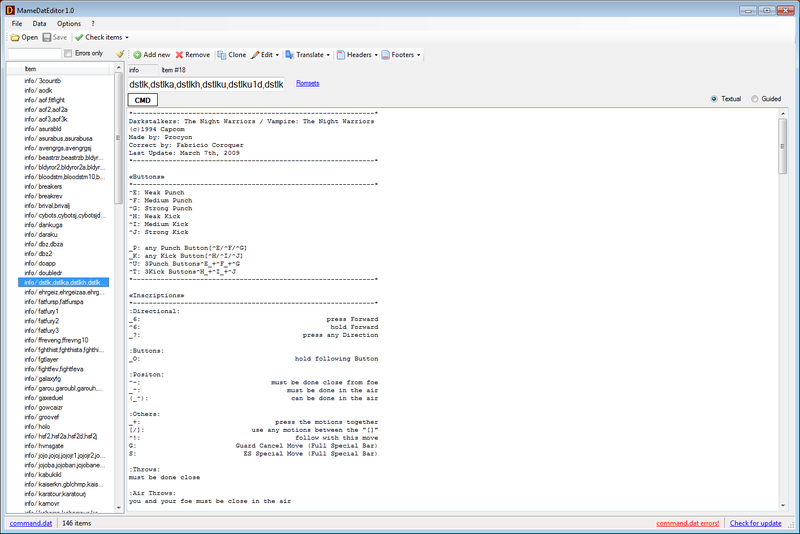 I wrote a utility for Windows that lets you download all the extra files of this site in a very comfortable way and with a few clicks. 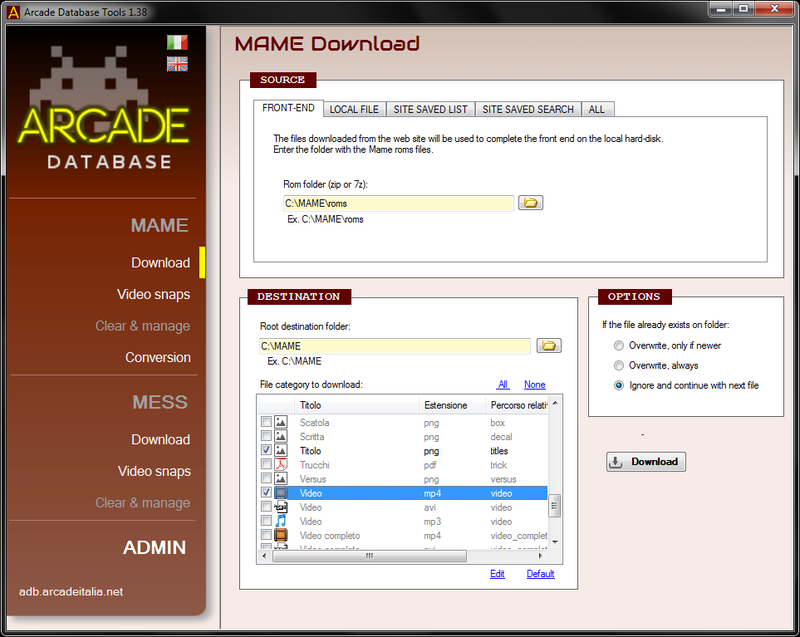 Use the download function as a zip archive and then update with this program. 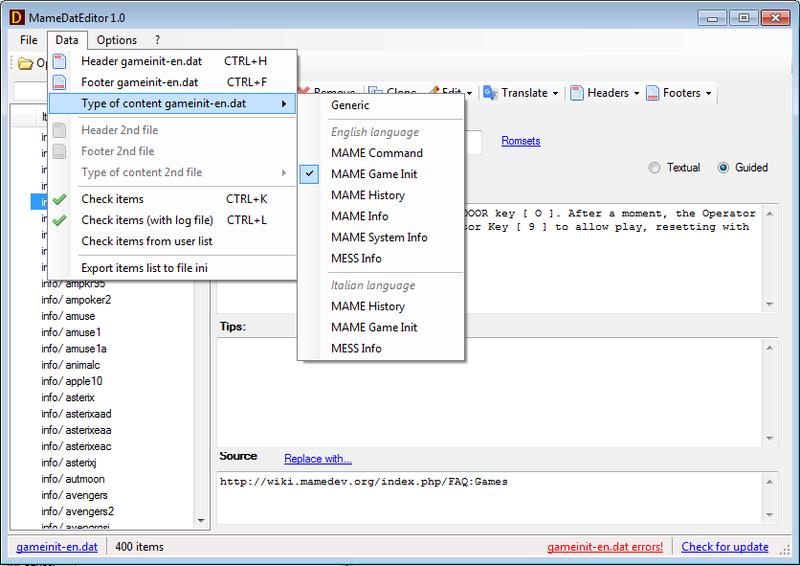 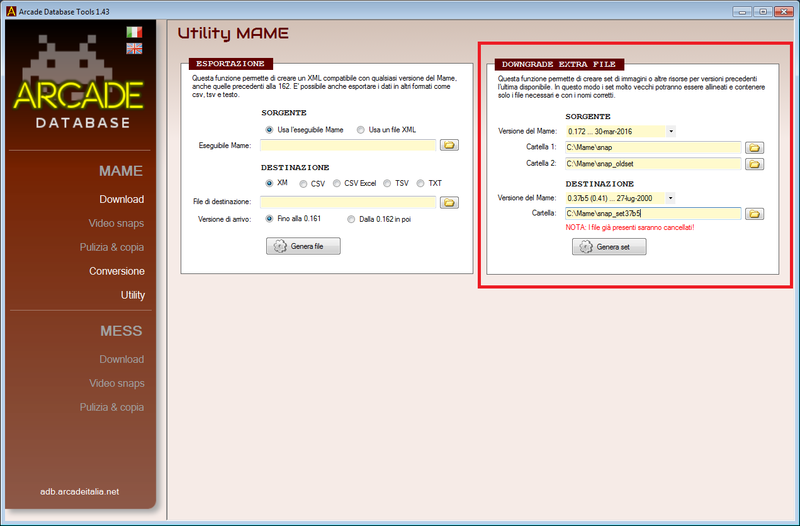 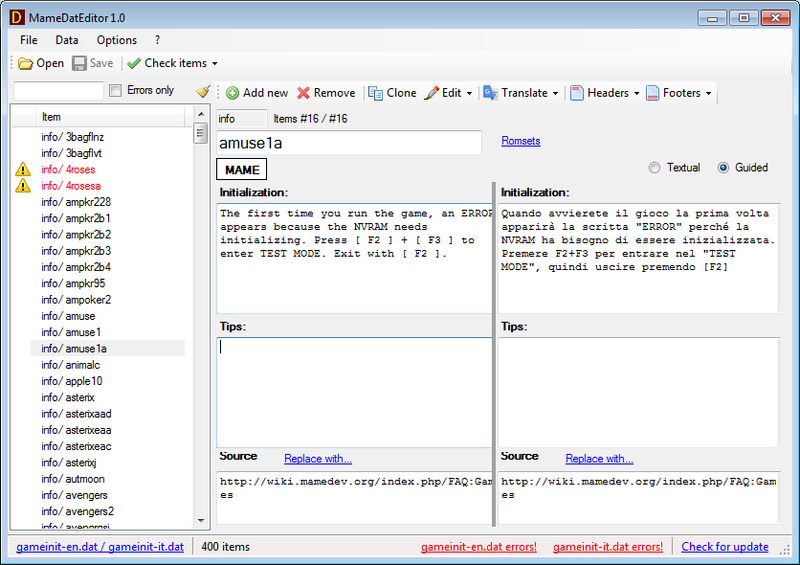 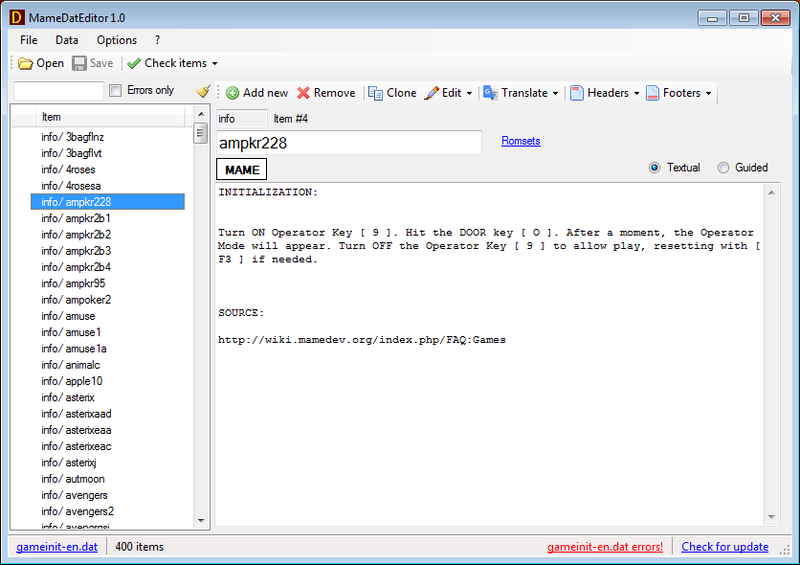 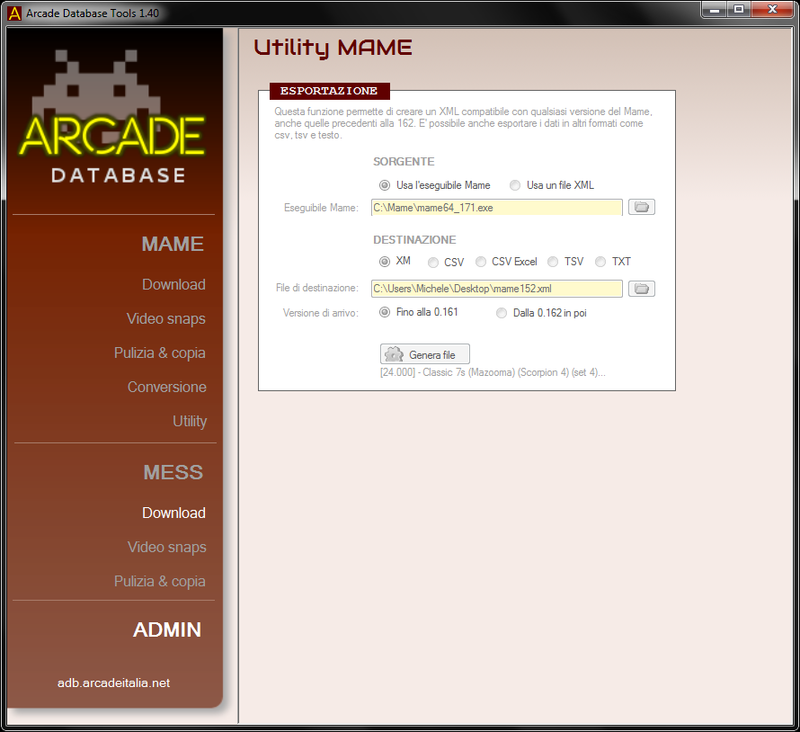 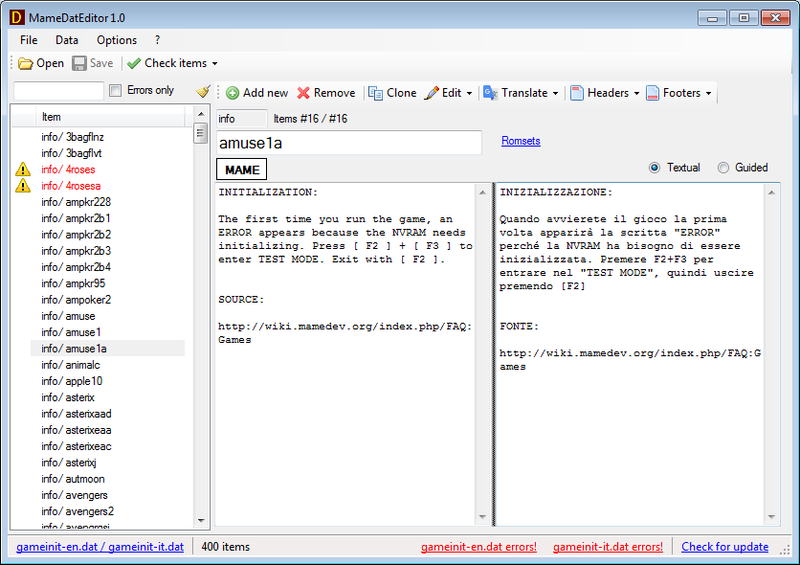 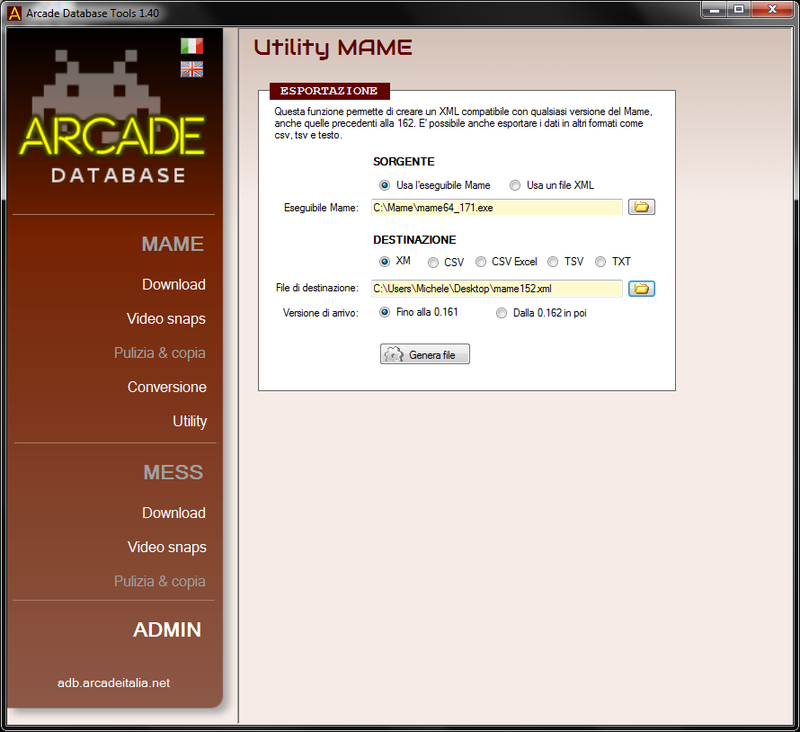 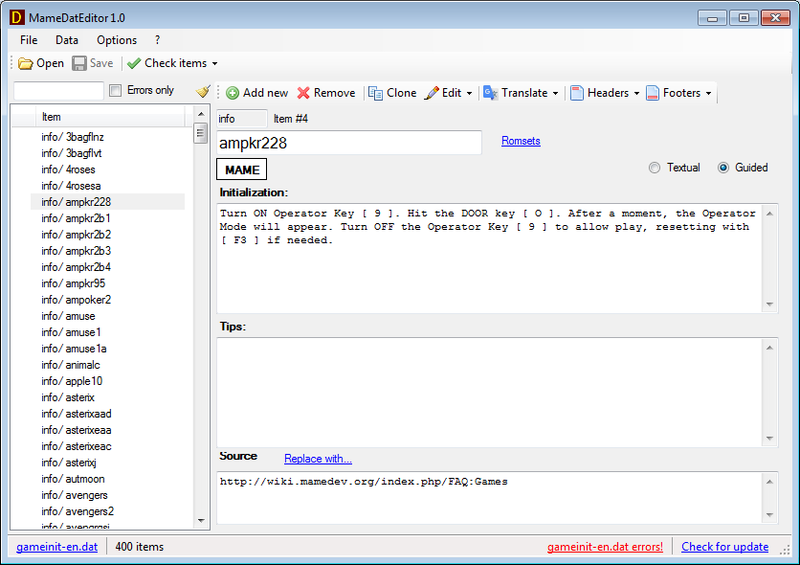 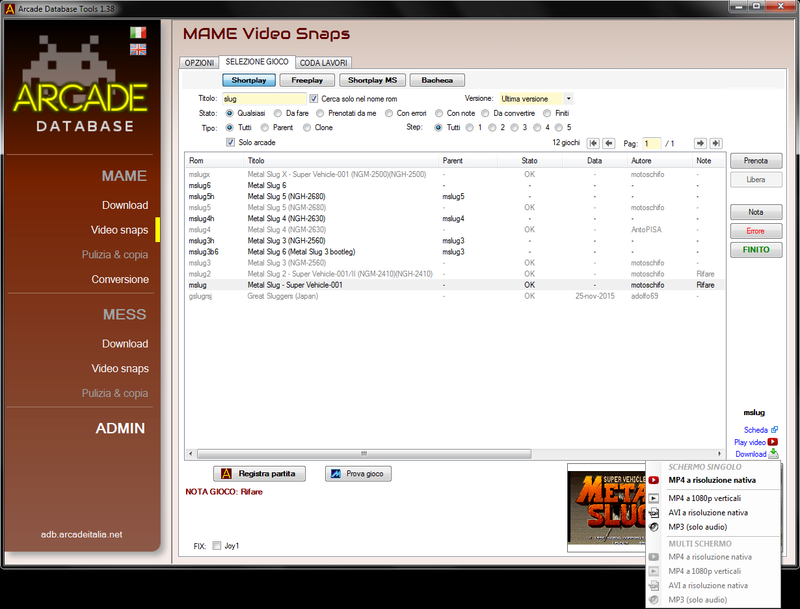 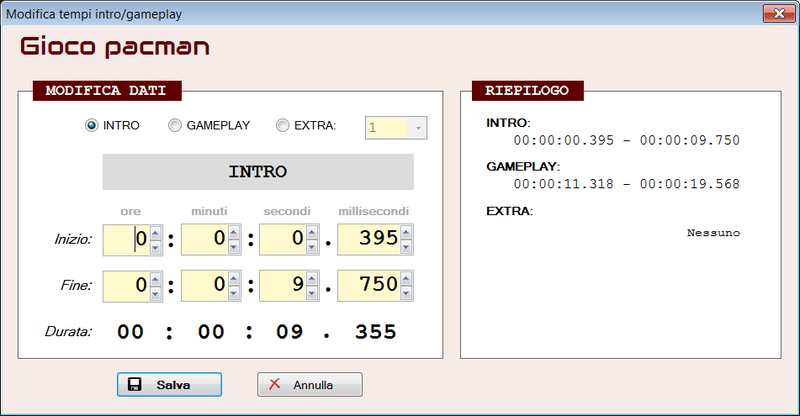 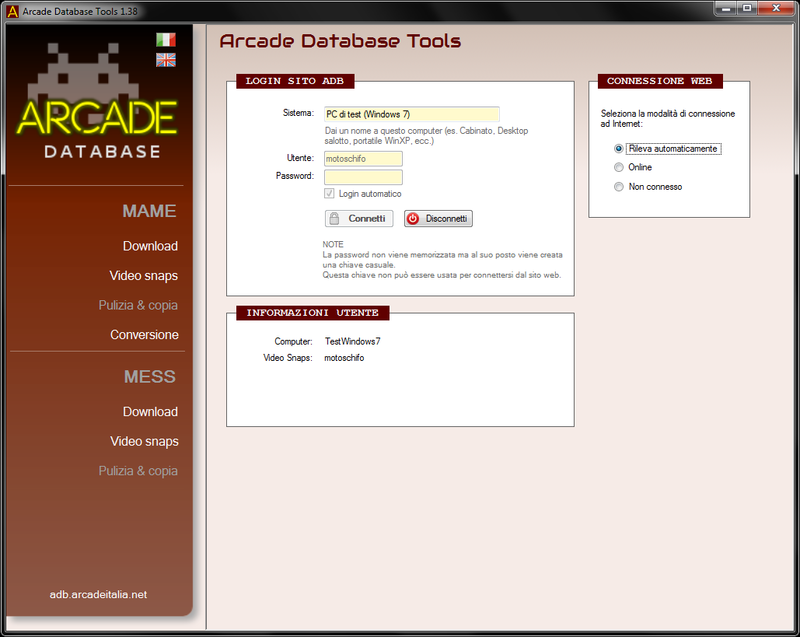 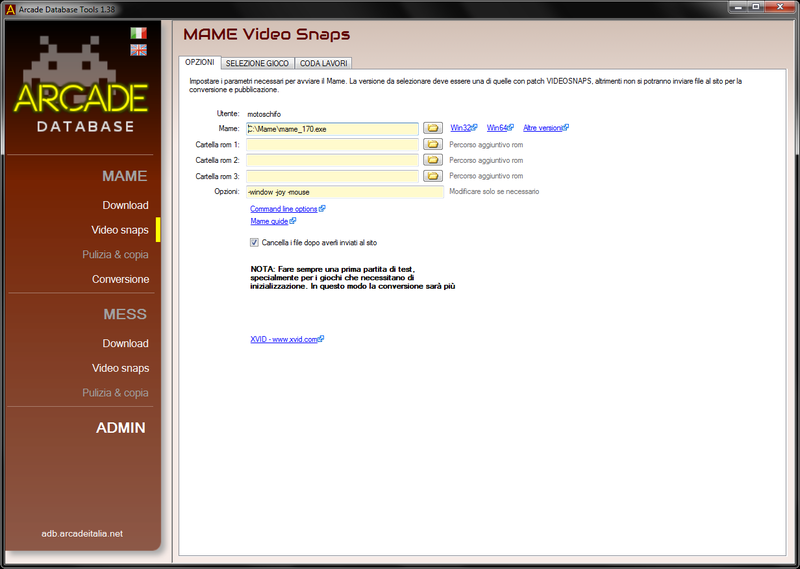 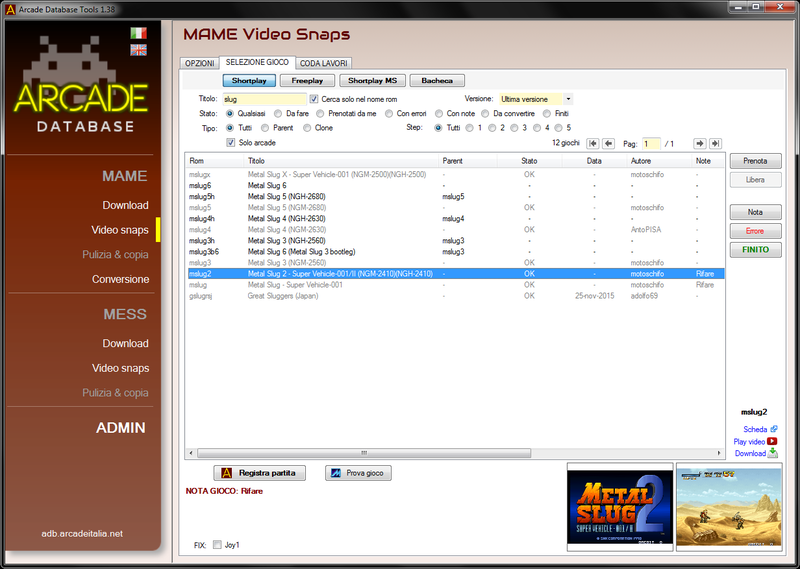 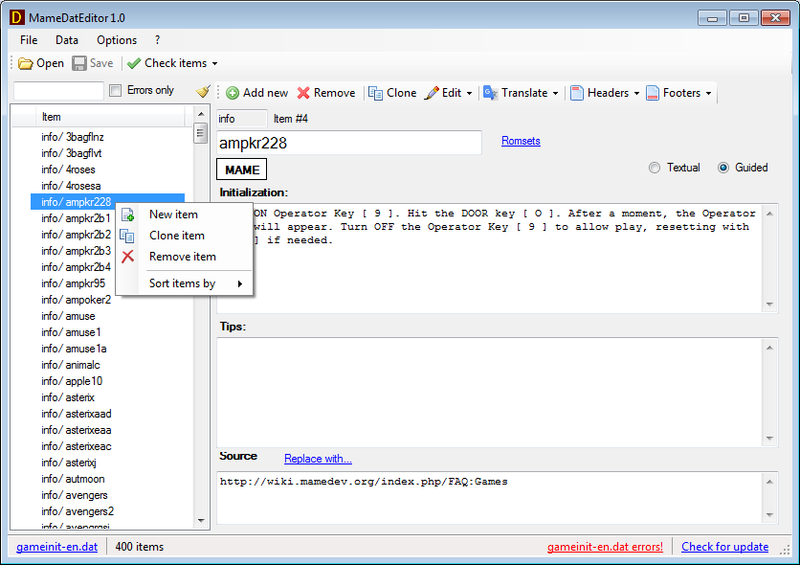 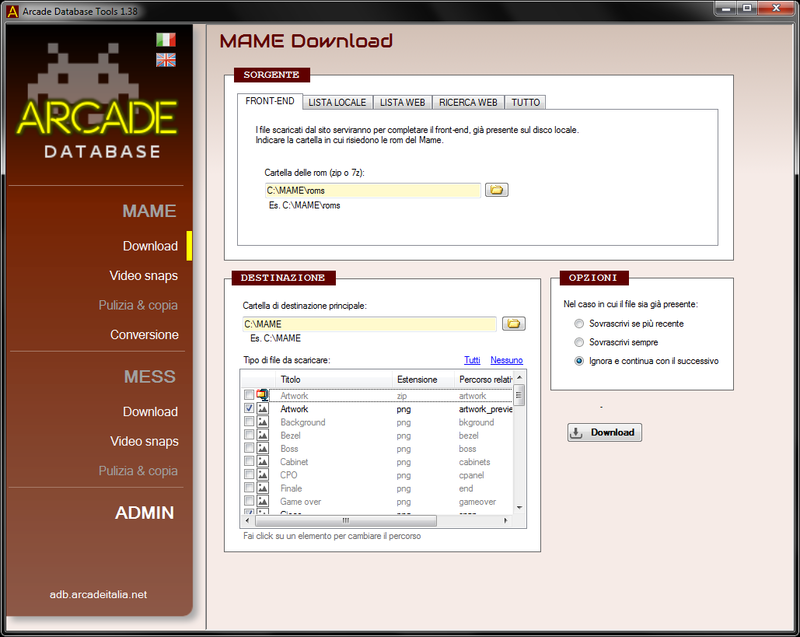 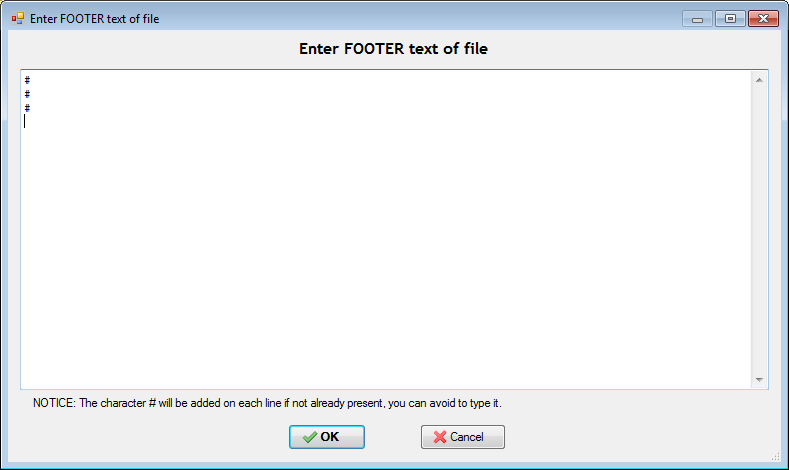 This program has been created by an idea of AntoPISA and lets you edit the DAT files normally used with Mame (command, history, mameinfo, gameinit, etc.). 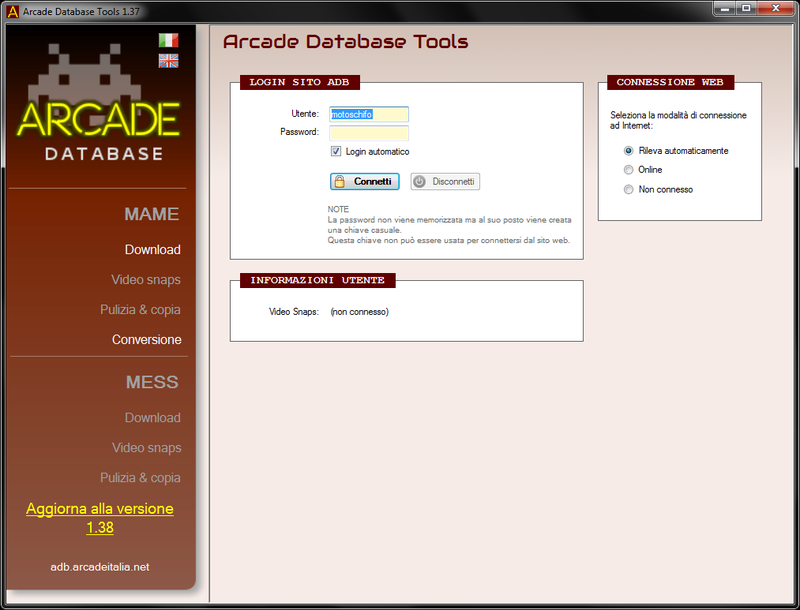 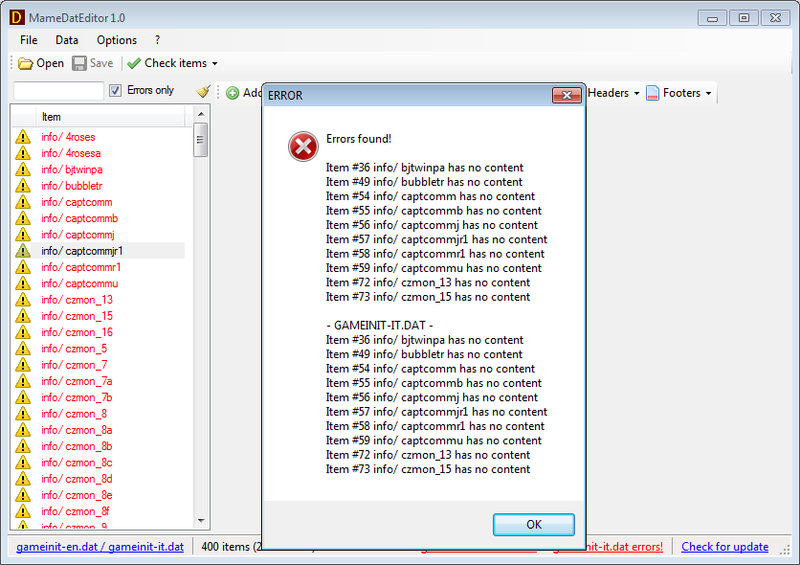 It's useful for checking errors or incorrect data and there is a connection to this site to get the game titles, software lists or links to tabs. 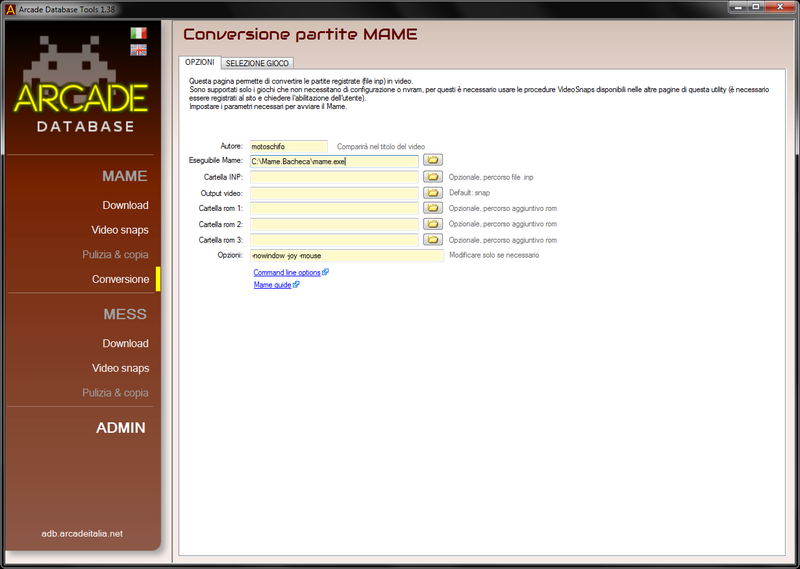 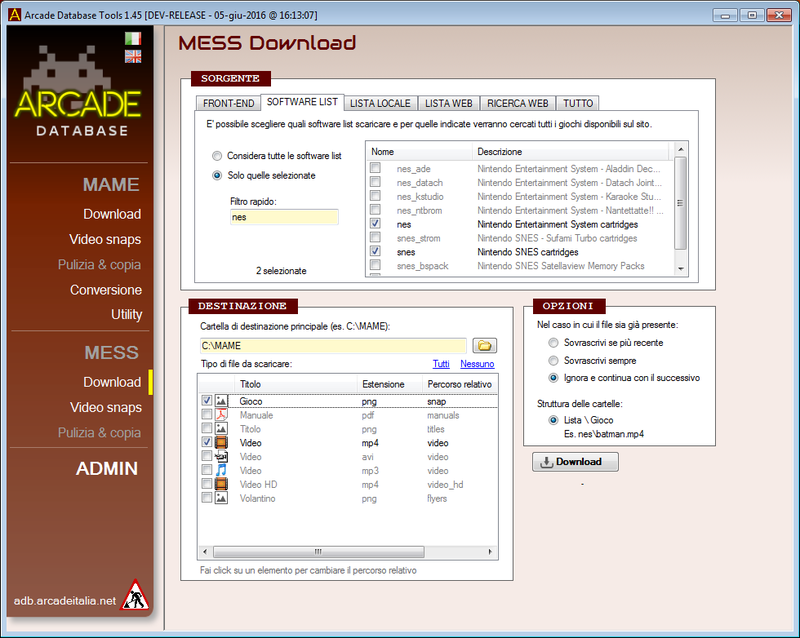 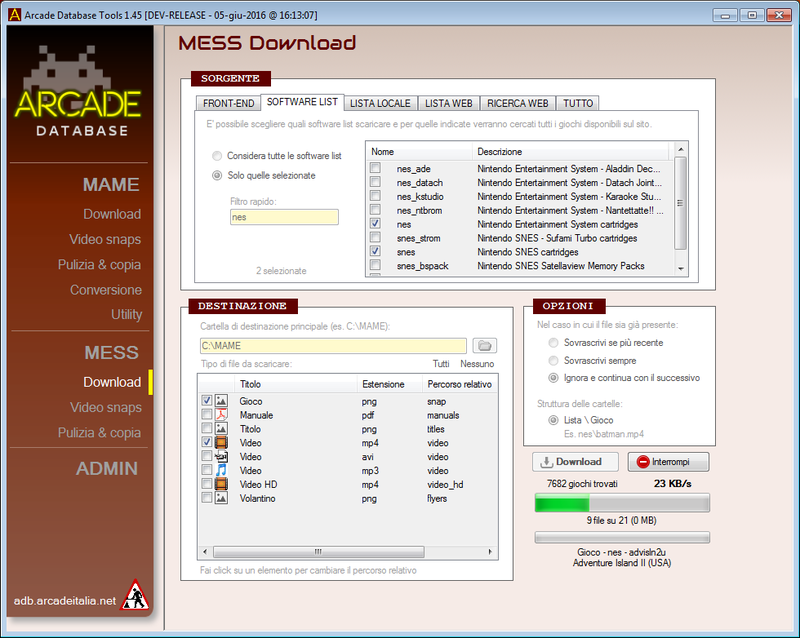 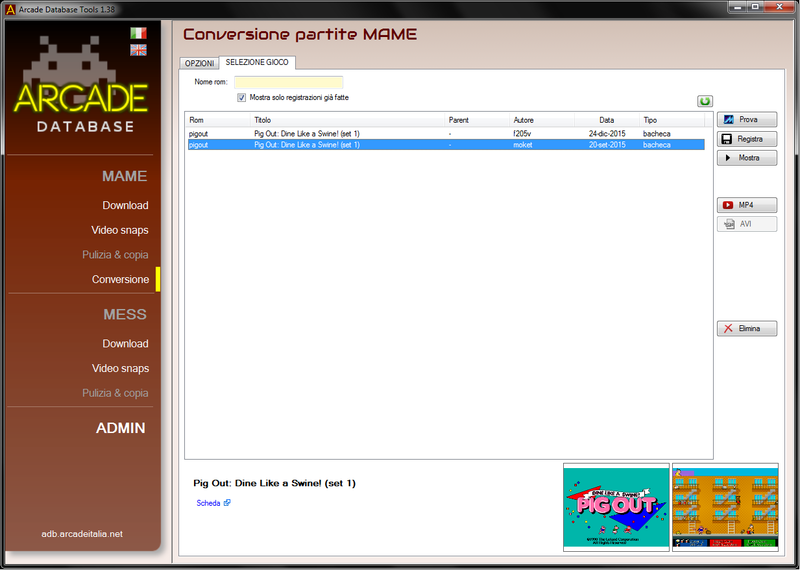 The program can handle different file types: generic, command, gameinit, mameinfo, sysinfo, messinfo and for some of these supports the italian version. 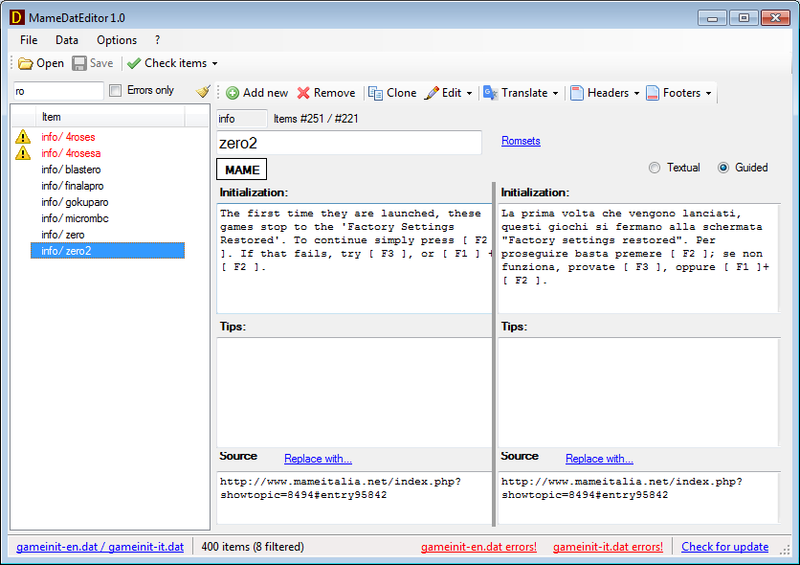 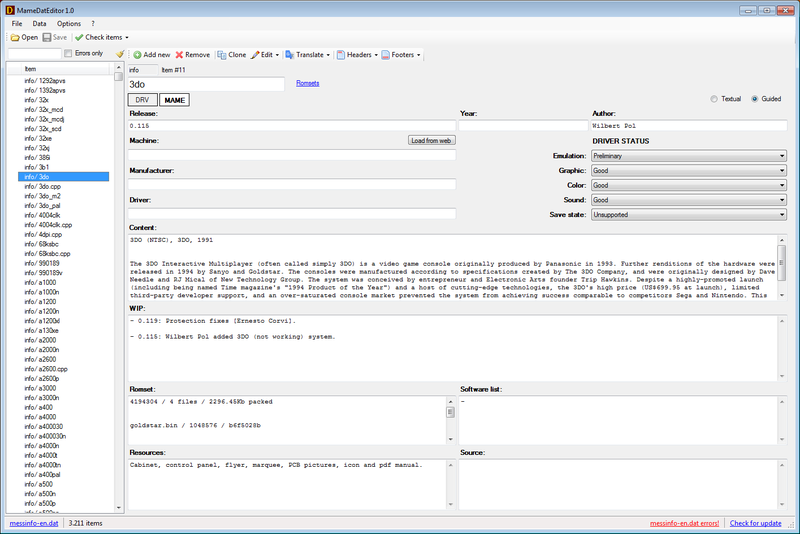 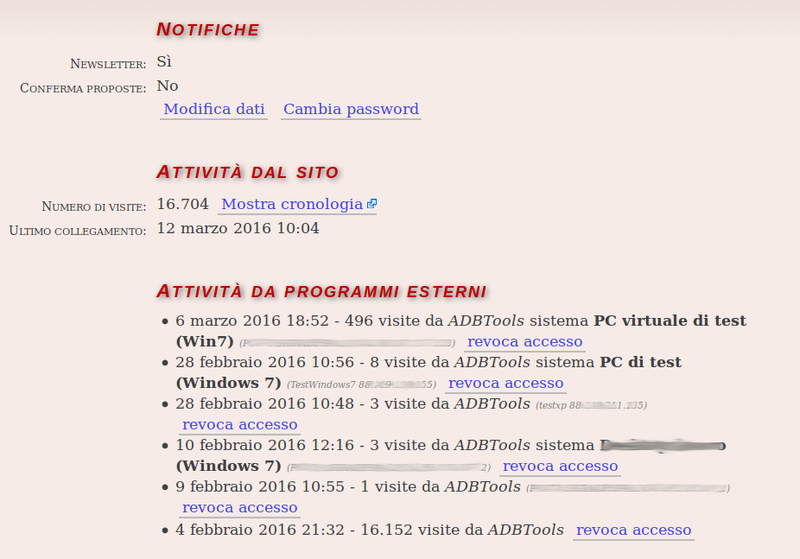 link to this website for retrieve machines titles, data autocompletion, etc.